Not officially maintained. On Reservation land. 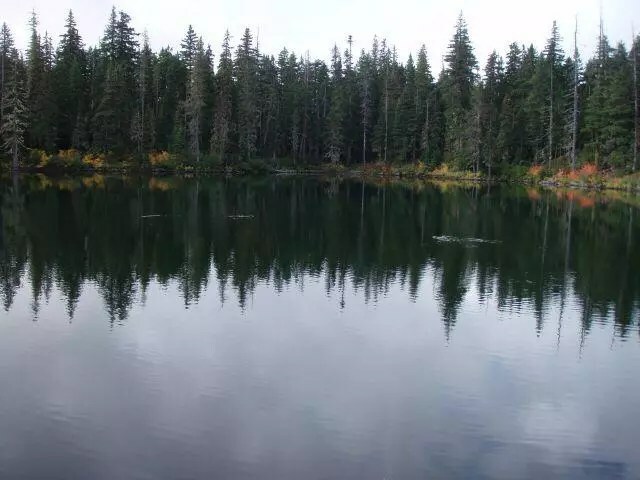 Starts at the south end of the campground at Olallie Meadow-Follow Loadgepole trail for about 1/4 mile until junction with the Russ Lake trail. Easy to follow. Goes past several lakes – Brook, Jude (short side trip on the PCT) and Russ Lake.